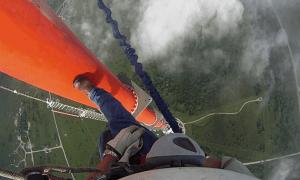 There are few jobs with such terror, adrenaline, and calm thought than being a tower climber. Many people in fact do not actually know what it is, but as soon as they find out about it they are often desperate to join! But being a tower climber means much more than just climbing up and down all day long. Put simply, a tower climber is an electrician that works at ridiculous heights. It is because of these very high working conditions that tower climbers are paid such a high amount of money. It has been estimated that even those that are starting out their careers within the tower climbing industry can make about $60,000 a year. The reason that the pay is so high, like any other high risk job, is because there is a great possibility of injury, so that money is to pay for medical costs, not for a new car every year! The lifestyle of a tower climber is not all glamour either. There are two main different ways that being a tower climber actually works in practice. Either you are responsible for a few towers in a small location, and tend to them throughout the year, meaning that you can live in one place or, you are responsible for tending to a line of towers across the country, and you spend your time living in a truck and driving around. As you can see, they are completely different, although there are plenty of people that love each type! If you like to sound of working as a tower climber, there are more skills that you need than just being able to climb well, although that is of course incredibly important. If you cannot hold your balance, and get overwhelming feelings of nausea when you look down from a great height, then this job is probably not for you. However, even if you can do that, you need many other skills and characteristics as well. You will need to have a degree or two in electronics, and be completely up to date with all of the various changes that seem to be happening almost weekly in the world of telecommunications or whatever field your towers are in. You need to be calm under pressure, and able to work well as a team. Think you’ve got it? Post Your Resume and lets get started.